Readers across the globe know by now that Harper Lee changed her mind about cooperating with journalist Marja Mills, author of the memoir, The Mockingbird Next Door: Life With Harper Lee, recently released by Penguin. But as I read the book on its publication day, it seemed clear to me that Ms. Lee had sought the company and attention of Ms. Mills when the latter moved next door to "Nelle Harper" and her sister Alice in Monroeville, Alabama, for several months in 2004-2005. Later, as Harper Lee had second thoughts about being profiled, she cited Alice Lee's advanced age when Alice drafted a consent letter for the book. Yet, as others have written, this argument rings false since Alice Lee was still practicing law in Monroeville when she and Nelle met Ms. Mills. Anyone who's seen Hey, Boo, the 2012 American Masters documentary, knows that Alice, then 99, was articulate and alert when she spoke about her famous sister on camera. 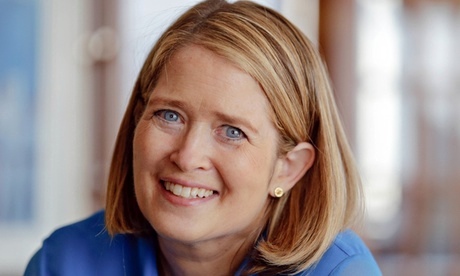 Photo of Marja Mills by Teresa Crawford/AP. Was it ethical to continue writing the memoir when Harper Lee made her objections known as far back as 2011? This is a debate I will leave to others, such as Aida Edemariam in The Guardian (July 19) and Melinda Henneberger in The Washington Post (July 21). But as a writer who longs to fully appreciate Harper Lee and her signal contribution to American letters, I'm grateful for the time Marja Mills spent with both Lee sisters and their perceptive hometown friends, such as the Reverend Dr. Thomas Lane Butts, who also appears in the Hey, Boo documentary. Ms. Mills shows the elderly Lee sisters leading a quiet life, exploring the quaint villages of Burnt Corn and Scratch Ankle, feeding ducks and geese at Whitey Lee Lake, drinking coffee at McDonald's, and squabbling over the check at local joints like David's Catfish House, details that have struck some reviewers as dull. It's true that you will find only remnants of "Maycomb," the fictionalized town portrayed in Harper Lee's classic novel; instead you will enjoy a gentle and evocative portrait of Monroeville today, which includes a visit to the lovingly restored "Old Courthouse" where Atticus defended Tom Robinson, now a museum devoted to Harper Lee and Truman Capote. I was 10 when To Kill A Mockingbird came out, causing a firestorm of publicity that took a toll on Harper Lee's spirit and made her wish she'd "never written the damn book" as she told people a while back. But Ms. Mills learned that Nelle's attitude about her success has changed, and though she "sometimes" still dislikes her fame, "then it passes." This is a remarkable bit of reporting on Ms. Mills' part, given Harper Lee's characteristic reticence. If nothing else I'm happy to know Lee does not regret writing the novel that has given readers like me so many hours of inspiration and page-turning pleasure for half a century -- and still counting.